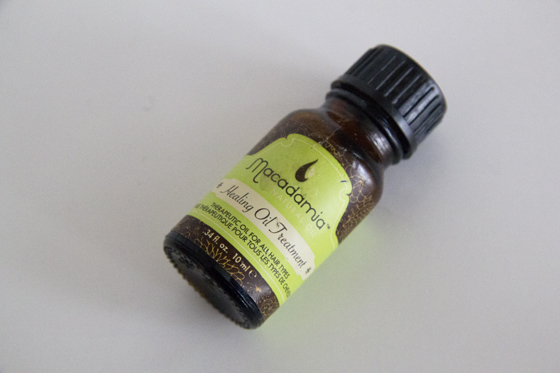 Macadamia Healing Oil Treatment is a really good thing, that I ever used on my hair. Glossy Box well done for putting this inside my box. I had great use out of it and I'm finally going to pick up full size, with a pump. My hair haven't been so great few weeks ago, as I haven't had a hair cut for around 2 years (my hair had a haircut last week) so the ends of my hair, had been very dry. I must say that the healing oil treatment had helped me a lot. I normally had been applying this on wet hair, I had been mixing this, with an leave-in conditioner (I mostly been using the L'Oreal Leave-in Conditioner), for better effect. 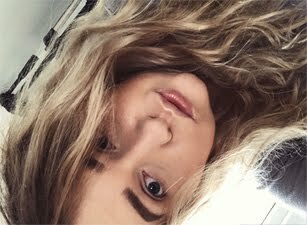 I hardly ever use hair drier, so my hair always dry naturally. Also not long ago I picked up the Macadamia Leave-in Cream and it's smells so good, much more better than this treatment.You can use this treatment on all hair types. The texture is very runny. It also had been leaving my hair very shiny and soft feeling. My ends had been moisturised very well. The Healing Oil will last you forever as I had the 10ml bottle for around 2 months. I wash my hair 2-3 times a week, so it had last for long amount of time.As I mention before the smell isn't anything amazing, but I don't mind it so much. It didn't weight my hair down, as well as they haven't been left looking greasy. It is expensive but in my opinion it's worth the price, the large bottle will last you for ever, as you won't need to use lots of the product. Ah reviews like this make me feel like subscribing to glossy box! Love your blog! I LOVE macadamia oil! It has really helped to heal my very dry and brittle hair. Thank you for reviewing our Healing Oil Treatment and Nourishing Leave-In Cream. We're happy to see you love our hair oils! We look forward to your future Macadamia reviews!